Manchester, the northern powerhouse. Home of the Gallagher brothers, graphene and about a billion other things – yet how would you spend a day here? Well, never fear because here at The Traveloid we’ve put together a plan for 24 hours that should enable you to see the best of what this city has to offer. Good morning! It’s time for breakfast/brunch and as luck would have it, we know just the area. Head up to the Northern Quarter, Manchester’s area of independent shops, cafes, bars and restaurants, neighbouring Piccadilly Gardens. 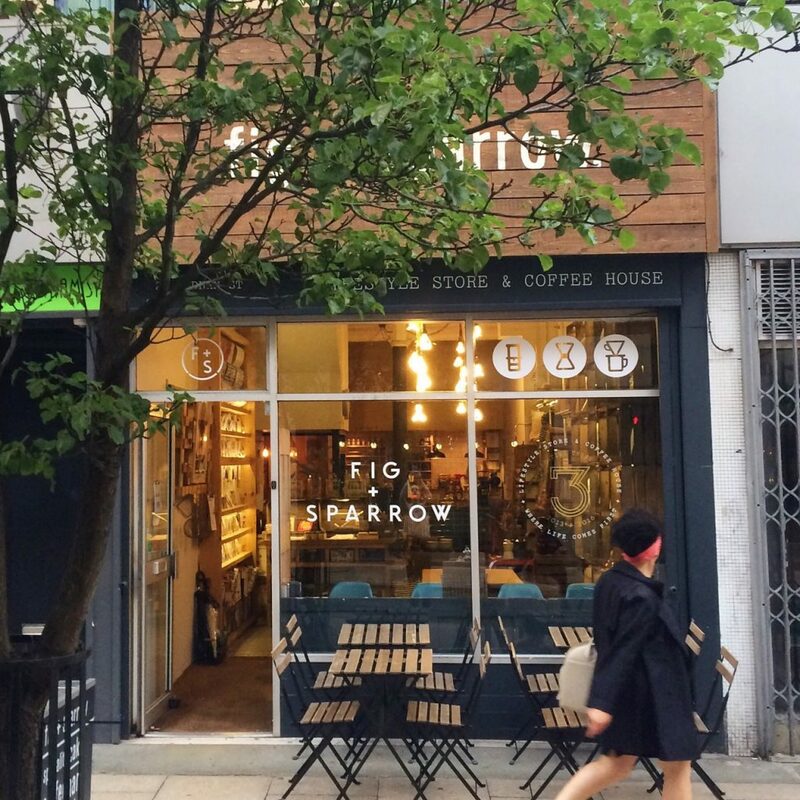 Where you go for food is down to personal preference, but for coffee, a personal favourite of mine is Fig & Sparrow on Oldham Street. Grab a seat by the window and make sure to do a bit of people watching. Make sure to spend some time checking out the record stores here, along with getting lost in Affleck’s Palace. A bizarre bazaar of indie and alternative shops, you’ll find bakeries to vapes with a bit of everything in between. Pull yourself out of the Northern Quarter, it’s time to see somewhere else! Dodging the Arndale and Market Street (the main high street), we make our way to the Urbis building. 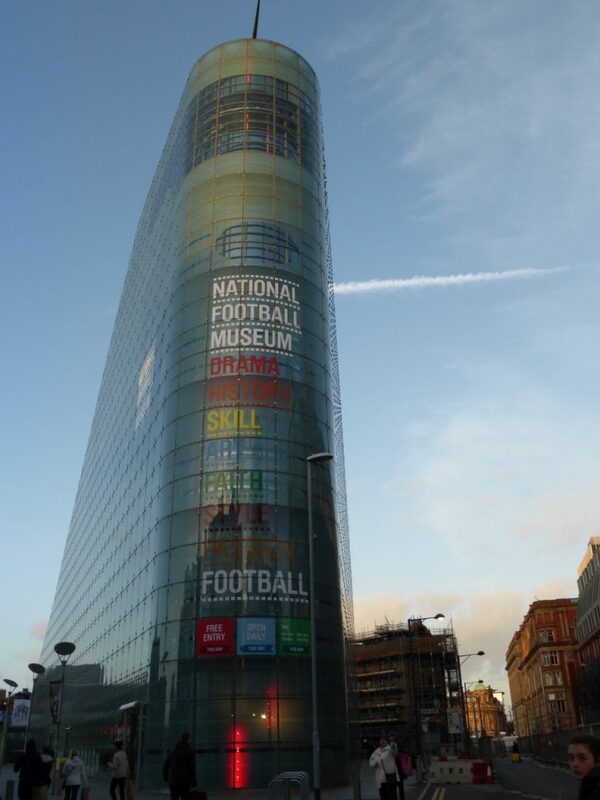 This odd looking building is home to the National Football Museum – that’s right, an entire museum dedicated to football. Think memorabilia, famous shirts, stadium designs, it’s perfect for any football fan. If you’re not much of a football fan, then don’t worry! Pretty much right next door is Chetham’s Library, the oldest public library in the English-speaking world. Founded in 1653, it’s free for you to enter and get lost in the collections. Walk away from the museum/library, to the cathedral – only a few minutes walking away. Admittedly not one of the grandest cathedrals around, it’s well worth a look inside to see what makes Manchester a city. Then it’s time for another cathedral – a cathedral of books! If you thought the Chetham Library was good, wait until you get a load of the John Rylands library on Deansgate. A neo-Gothic library/museum, it’s a wonderful building to wander around and get lost in your thoughts. Keep a look out for their permanent collections, which includes a piece from one of the earliest copies of the New Testament. 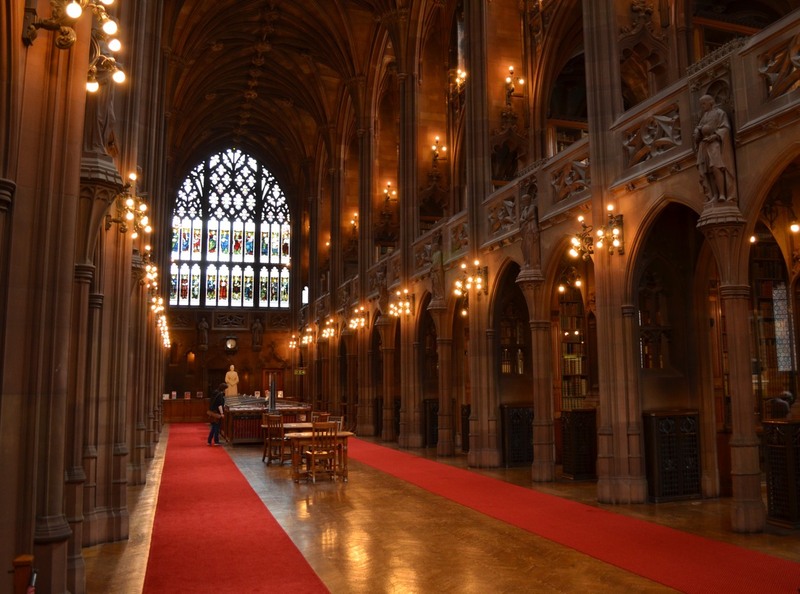 From there, head to Albert Square to behold the Town Hall in all its Victorian Gothic glory. At certain times of the year there are events in front the hall, usually for a festival of sorts (food, theatre, jazz). If there isn’t anything, don’t worry, it’s still a pretty impressive sight. After all this walking around, it’s time for food! The city centre has a range of options for eating, from pub grub to high-class dining. However, one thing Manchester is famous for is its “Curry Mile” down in Rusholme – a stretch of road full of curry houses, shisha bars and take aways. Grab a 142 bus from Piccadilly Gardens and you’ll know when you’re on the mile – you’ll see curry houses everywhere! There’s normally no need to book in advance, if one place is full you can just try your luck at the next one. Now it’s time for the city to come alive – so don’t head to bed just yet. Whatever you prefer at night, you’ll be catered for. For example, rock and metal heads can go to Satans Hollow, a dedicated club on Princess Street. Fancy some classy drinks? Get yourself back to the Northern Quarter for craft beers and cocktails. If it’s just a quiet pint, just stroll into one of the many, many pubs across the city. Something that shouldn’t be missed is the Gay Village, based around Canal Street. With some clubs closing their doors at around 4-5AM, you’ll be sorted throughout the night. Hello again, hopefully your head isn’t too sore from last night. 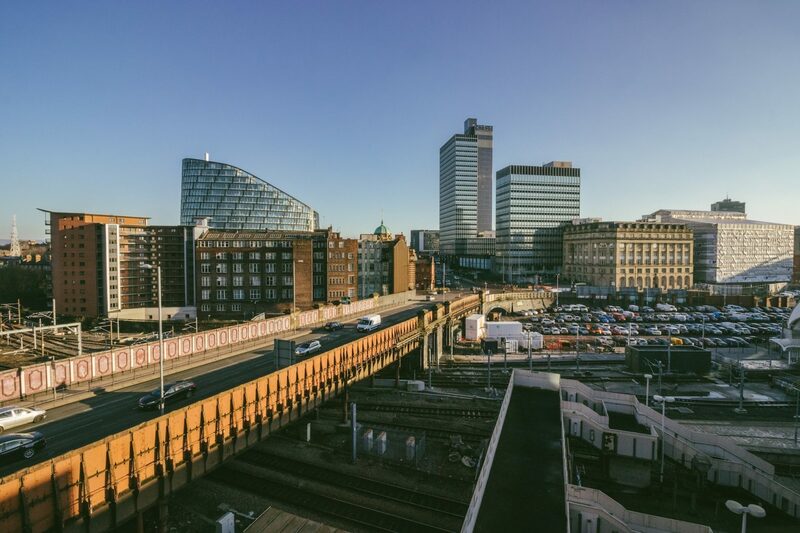 If you need to get to the train station from wherever you’re staying, just grab a bus into Piccadilly Gardens and from there it’s a 5 minute walk to the station. For the airport, you can take a train from Manchester Piccadilly station, or get the bus.